60,000 were singing in praise of the IRA at the Piggery. It even played through Club sound system. Radicalising kids in schools. Where have we heard that before? That's an interesting and very alarming read GG, the guy certainly doesn't hold back. GG . Keep this up mate we really do need to highlight these bassas . We all know it will be sweep sweep nothing to see here . so papes can teach in papes schools and non denom. Non RCs can work in non denom though can only get a job in RC school if they have letter from rc church saying they are good enough to teach papes. papes can go to University of Glasgow and Strathclyde for teaching primary school kids. yet Non denom are told when applying to Glasgow this declaring themselves as RC will stand better chance ad they teach Catholic ethos. So papes takes places at Strathclyde and this lowers rates for non denom getting a place in Strathclyde or Glasgow. As graduate of Glasgow Uni, I was allowed to do any other degree from medicine to aviation engineering you name it...apart from primary school teaching, could do my 1 year secondary teaching (which I was accepted too) but even though after uni I worked in my mum's primary school I couldn't learn primary at Glasgow. Though Roman Catholics are persecuted in the West of Scotland.....just not in Schooling/Councils/Politics/Trade Unions and head of Scottish football. Oh ps, when he's getting investigated, let's move to non denom school, likewise when expelling a pale he gets sent to a non denom. He worked at our lady and St Patrick in Dumbarton. That's where all the papes from Helensburgh go to study and the less rabid ones stay in Helensburgh. They breed serious scum from there. I say shame on you to the 22.000 who signed the petition . Is he a good guy ? No he ain’t he’s a terrorist loving scumbag. Imagine a Muslim teacher with an Osama Bin Laden mug and ISIS leaflets teaching in our schools ? Not one of the cowardly gutter Rhags bothered to even give this Provofest a passing mention. Anyone got a link for that as I don’t know how to? I want to send that to a few in the written and spoken media. Very telling but nothing we didn’t know already. Schools aligned along religious lines should be disbanded. They teach nothing but hate and intolerance. Right click the video and select copy video URL from the pull down menu. Or if your on your phone just out your finger over the video and the long press will bring up the same menu.Here's the link m8. A club like no other. A primary teacher who glorified the IRA in a series of Tweets has agreed to be banned from the classroom. Anne-Marie Clements, who called herself the "Provo Princess", was convicted at Paisley Sheriff Court last year of posting the "grossly offensive" messages and fined £600. Clements, who also lost her job at St Mark's Primary in Barrhead, East Renfrewshire, has now consented to be struck off the teaching register. WTF!! So they ask then is it alright if we ban you and do you agree with us that we strike you off.What happened to the days of suspended while under investigation then pending outcome sacked. Do they really go down this road now that they have to ask your permission,ffs talk about the tail wagging the dog. She played for their ladies but a bhigoted (untess nonetheless. Fecking shambolic country. Months and months to deal with an open and shut case. Pathetic, but sadly predictable. Mug, plate, fork and knife? The complete set of irony. A better one here with the actual lyrics on the video m8. Are we allowed to post articles from the record? Catholic school teacher who had a Bobby Sands mug in his classroom has admitted sharing "1000 rebel songs" with a colleague. James Beattie sought out a probationer teacher during a break and loaded the nationalist music on to a hard disk. But the rookie teacher at Our Lady and St Patrick's in Dumbarton , West Dunbartonshire, deleted the rebel songs and alerted the depute head. A subsequent investigation led to the discovery of "Free Derry" postcards and a Bobby Sands mug in the Modern Studies teacher's classroom. The October 2014 probe also uncovered a note in Beattie's handwriting with the words "hun town". Beattie's "inappropriate" conduct resulted in him facing several charges from the General Teaching Council for Scotland (GTCS) at a hearing in Edinburgh this week. The teacher, who did not appear at the hearing but had legal representation, admits having the mug and postcards in his classroom "subject to explanation" and that sharing the music was inappropriate, but denies his fitness to teach is impaired. Andrew Brown, education service manager for West Dunbartonshire Council, gave evidence to the hearing. Mr Brown said: "The probationary teacher walked past Mr Beattie's class and Mr Beattie asked him if he had his hard disk as he wanted to give him a thousand rebel songs. "The probationary teacher confirmed that he didn't want to upset or offend Mr Beattie so didn't stop him from downloading the music onto his hard disk but deleted them immediately. "Mr Brown was called to the school to investigate and took photos of a postcard and Christmas card with "Free Derry" written on them prominently placed on two large pinboards. Mr Brown also took a photograph of a Bobby Sands mug on Beattie's desk. He told the hearing: "The items displayed were sectarian. Kids are impressionable and without context these items would sit without explanation and that is inappropriate." Mr Brown added: "Mr Beattie confirmed the items were his and understands the serious nature of being associated to these items. "When presenting officer Gary Burton asked if the investigation discovered who put the cards on the wall, Mr Brown said:"A teaching assistant admits to putting up the cards to 'brighten up the room'. "But they had holes in them which suggest they were up in a previous classroom too and Mr Beattie should have removed them." When Mr Burton asked Mr Brown where the mug came from, Mr Brown said: "Mr Beattie told me the mug was a gift from a janitor and remained in a cupboard for nine years." When pressed on how the mug came to be on the desk, Mr Brown said: "Mr Beattie didn't know how it got there." The presenting officer asked Mr Brown to describe how the "hun town" note was discovered. He replied: "A colleague found the note on Mr Beattie's desk and photocopied them before bringing it to the attention of a senior colleague." Mr Brown added: "Mr Beattie told me that the note was left in his personal bag as there is no storage in his new classroom. And the teacher would have had to gone through his personal belongings." Mr Beattie told me the note was made whilst on the phone to a friend who he shares banter with and there is never any malice." Asked to comment on Beattie's hearing, West Dunbartonshire council said in a statement this week that they "expect the highest standards from all of its teachers and stipulates that staff must meet the requirements of the General Teaching Council for Scotland." West Dunbartonshire declined to comment on whether he is still employed by them. But children at nearby Vale of Leven Academy, thought to be Mr Beattie's current school, have set up an online petition to support him, describing him as "great" and claiming he "doesn't deserve" his treatment. The petition has attracted 1300 signatures. Does that school have a swimming pool? So the case has concluded. Will we ever find out what went on in the court? They were desperate to have it in private and you have to wonder if there were other issues involved. Were there any reporters in attendance or was the public gallery flooded with 'friends' of the accused. Perhaps some of the 22,000 petition subscribers that were no doubt engendered online - in places such as smellydale Street etc. Will we ever find out the details of what was found during this year long debacle - or will we just hear the verdict/outcome? THE hearing into the conduct of a Dumbarton teacher accused of having a Bobby Sands mug and “Free Derry” Christmas card in his classroom has concluded – almost one year after the case began. Jim Beattie appeared before the General Teaching Council for Scotland in December last year before the case was postponed until January. However, it never resumed. Almost 22,000 people signed a petition calling for the teacher – described as a “legend” by pupils at Our Lady and St Patrick’s – to be allowed to keep his job. The Reporter can reveal the case began again on Tuesday, September 4 and concluded on Friday. A full report on the findings of the panel will be made public within 30 days. Mr Beattie had asked for the case to be heard in private, which was denied by the GTCS. A GTCS spokesman explained the delay was “unfortunate” but “unavoidable” so the full facts of the case could be established. He added: “There was an application made for this hearing to be heard in private. This was rejected by a panel. Notice of public hearings is posted on our website. Amongst a string of charges, Mr Beattie is alleged to have written the term “hun town” in his notes while working as a modern studies teacher at Our Lady and St Patrick’s High School in August 2014. He is also accused of having a “Free Derry” Christmas card and postcard, and a mug bearing an image of Sands – an Irish Republican Army member who died at the notorious Maze Prison in Northern Ireland after going on hunger strike. Another charge alleges the teacher used “prior knowledge” of a Modern Studies exam to “advise pupils on the areas to study in advance” of the exam. 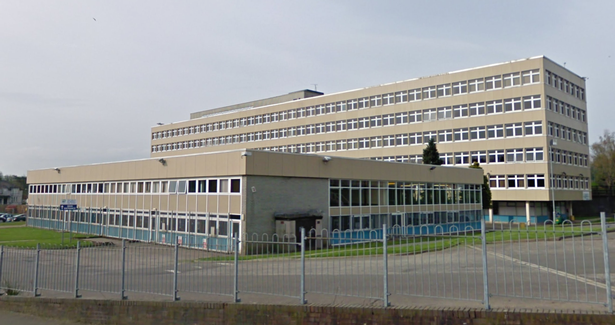 He is accused of having “inappropriate contact with pupils personally by email”. Mr Beattie denied his ability to teach was impaired. Mr Beattie was moved by West Dunbartonshire Council to the nearby Vale of Leven Academy after the concerns were first brought to light. A temporary restriction has been placed on the teacher’s licence until the case has concluded. While a teacher’s registration is marked as restricted, they may only be employed by their existing employer and in their existing teaching post. I wonder if there's any interest in this story down south, say in London or Manchester? Perhaps they should be alerted to what's happening in the SNP Republic? We have ample evidence over the years of bigots influencing young children, this is just another example of the 'radicalisation' process that our apartheid schooling system promotes. Surely, now that the case has concluded, NBM are at long last free to pass comment? I'm sure the journalists in this backwater are bombarding their spokesman for a statement already. Yeah. Sadly I am joking. Manipulators of committees, councils, politicians, banks, radio and newspapers. Untouchable due to complicit cowards and bigots. This guy has been teaching in a non denominational school for 4 years - it's taken that bloody long? A Rangers supporter was jailed for singing a song and another was locked up for 6 months for calling a reporter a Taig on line. The former OLSP teacher faced allegations he leaked exam questions to pupils, used the words “hun town” in notes and had sectarian-themed items in his classroom, namely a “Free Derry” Christmas card and postcard and a mug with an image of IRA activist Bobby Sands. He also stood accused of sharing music with a probationer colleague which breached the employer’s information technology policy. That music was 1,000 Irish Rebel Songs about killing British Soldiers and Protestants. Mr Beattie asked for the case to be heard in private, which was denied by the GTC. The case had been postponed until January this year, but failed to resume until September 4. Explaining the reasons for the delay, a GTC spokesman said: “The time delay is not unusual for cases. “This is because of a range of factors including the application for a hearing in private; the deliberations of the panel; the legal arguments made on either side; and then the arrangements requiring to be made to find a hearing date that suited all of those involved, particularly taking into account the summer holidays. Almost 22,000 people have now signed an online petition calling to “Save Mr Beattie”, who was moved to the Vale of Leven Academy while investigations took place. Chief education officer for the local authority Laura Mason told the hearing panel last year that she launched a probe in 2014 after pupils from Dumbarton Academy raised concerns about OLSP students being given unfair exam advantage. Ms Mason said she had discovered the four practice essays provided to pupils by Mr Beattie related closely to late changes in the exam paper. She told the hearing: “Had the changes not been made, the essays would have led pupils down the wrong path. “This is a potential breach in security. You would not be that lucky. The hearing heard from Ms Mason that a question relating to ‘Trade and Aid’ provided to pupils at the master class by Mr Beattie was “spot on”. Alastair Milne, defending Mr Beattie, told the panel his client “disputes having any prior knowledge and using prior knowledge to advise pupils”. All the allegations are said to have taken place during the 2013/2014 academic year. Every single one of these mutants are happy to accept their dole, NHS, benefits etc yet claim to hate this country. If it was up to me and I truly mean this, I’d have them f@cked off to Ireland at the drop of a hat. Scum. Filthy fenian bastards have been allowed to get away with this unquestioned too long. They have RC schools in other UK cities with big Irish catholic communities - Liverpool, Manchester, London - yet there isn’t the same sectarian venom and hatred we see in Glasgow, isn’t the same crazed support for Republican terrorist groups. So what could it be that fosters such extremism among West of Scotland catholics? It’s a head scratcher alright. The RC schools in Scotland lead their pupils to the 'potato shaped' place that fosters such extremism sir. Also. To sort of support your theory. It could be argued that it cannot be an Irish issue as Glasgow is not the only major UK city where there the Irish settled. Liverpool, Manchester, Birmingham, Edinburgh and Dundee all have their share and they are not alone. You are right, this is a problem that belongs solely to Glasgow and to celtc supporters. What other club in the uk flies the flag of the Irish Republic above their ground? The flag of a country that was formed more than thirty years after the football club was? So you are right. The club is just as bad as it's support. That's true but the very act of segregating people into different groups leads to discrimination. Check out the studies by Tajfel et al into minimal groups. They set up various studies where individuals were allocated to different groups. They found that this led to bias in favour of their own group and therefore discrimination against other groups. The amazing thing about this research was that the groups did not even exist. This is where the argument that RC schools do not lead to discrimination falls down. They do and anyone arguing otherwise is either ignorant or bigoted. Just posted a thread on that very issue @LOL 133 in the lounge coincidentally. This misinterprets the causality involved. State denominational schools do not (or should not) by themselves create sectarian attitudes. However, by entrenching an existent divide they make it very much more difficult to eradicate sectarianism. Absolutely, but I’d argue that they alone don’t necessarily produce the entrenched sectarian mindset we have in Glasgow and the west of Scotland, but in tandem with a sporting institution that possesses a history indelibly linked with and at times directly supportive of Irish Republicanism, they do. However, it’s that sporting institution that is the catalyst, not the catholic education system itself. Someone on another thread nailed it for me. RC only schools aren’t producing devout Roman Catholics. They are producing bitter wee Republican bigots. There were people actually defending him on here when his name first came up. Imagine letting someone teach your children when that person has a fondness for child murderers? Would they let their children be taught by someone with an Ian Brady coffee mug? Ive crossed swords with one or two but they seem to be lying low now. A very useful function on this board. But I'm often tempted to press the view ignored content button at the bottom of each thread. I sometimes succumb and often regret doing so. All these years and I never learn. The issue of whether Celtic and/or Rangers exacerbate sectarianism is subjective. For many years, the argument gained traction in political circles that the rivalry between the clubs acted as a safety valve releasing social tensions and that it was therefore a necessary evil. While it is common to hear justification of state-funded denominational schools in Scotland on the basis that they exist in England without comparable problems, the fly in the ointment here is that if the comparison is made with Northern Ireland instead the argument falls flat on its face. Football can hardly be said to have a major role within Northern Ireland. I'd also suggest that in much of England 'faith schools' attract children of different religious denominations and that educational standards are the main driving force as far as parents are concerned. In Scotland we have a twin-stream comprehensive model which does not correspond to the situation in much of England. I contend that state denominational schools make the existence of sectarian division in Scotland - very much more to do nowadays with politics and ethnicity (or pseudo-ethnicity) - very much harder to eradicate. The line about it 'coming from the home' is specious because the parents and grandparents were brought up in the same educational system. How do you break the generational cycle other than phasing out state-sanctioned segregation? The government cannot outlaw Rangers or Celtic. What it can do if there is sufficient support is phase out state-funded denominational education. Our politicians are completely unrepresentative of the public on this issue and base their position simply on the significance of 'the Catholic vote'. This is really unacceptable. Have you ever wondered how so many have become so entrenched and anti-British? Have you ever questioned how they could hold in such reverence a proscribed terrorist group that murdered so many innocents? Some blame the schools that you and I fund. They could be right. 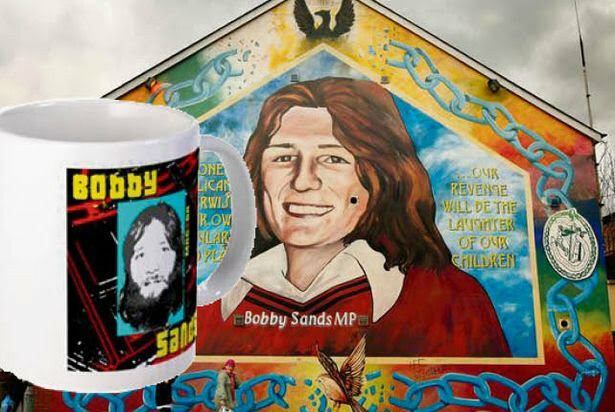 THE fate of a teacher who admitted having a Bobby Sands mug and ‘Free Derry’ Christmas card in his classroom is to be decided this month – almost one year after the case first began. Almost 22,000 people signed a petition calling for the teacher – described as a ‘legend’ by pupils – to be allowed to keep his job. The Evening Times can reveal the case began again yesterday and is due to continue today, tomorrow and September 7 before coming to a close on September 25. Mr Beattie asked for the case to be heard in private, which was denied by the GTCS. A GTCS spokesman explained the delay was ‘unfortunate’ but ‘unavoidable so the full facts of the case could be established. He is also accused of having a ‘Free Derry’ Christmas card and postcard, and a mug bearing an image of Sands – an Irish Republican Army member who died at the notorious Maze Prison in Northern Ireland after going on hunger strike. Mr Beattie denies his ability to teach was impaired. A temporary restriction has been placed on the teacher’s licence until the hearing has concluded. They really are thick kunts the PIRA are no longer active in Ireland. Of the 59,200 at the last game I wonder how many beggars have set foot in Ireland. They are nothing now compared to the 70's 80's & 90's. Adams is a mouthpiece with no meaning or direction. The Loyalists are the same a thing of the past compared to the troubles. The devide still remains and will take forever to go away. Whether Rangers or Celtic exacerbate sectarianism isn’t really my issue though; I’m more interested in the historical basis for it existing as fervently as it does in Glasgow when, for example, Liverpool with two big football teams and a large Irish catholic community, doesn’t have the same problems. The introduction of Celtic FC as a charity looking in part to keep impoverished Irish catholic immigrants out of the clutches of Protestant soup kitchens was surely a major catalyst for the divide we have today? When Rangers formed twelve years earlier for instance, did it see itself as the embodiment of and a tool for the promotion of Scottish Presbyterianism, or did it simply think of itself as a football club? I think therefore that it can be contended with some justification that Celtic’s inception was consciously divisive in a social sense and that only at that point did Rangers begin to perhaps redifine itself in response to that challenge, both on and off the football field. Denominational schooling can then be argued to have propagated that divide, but I’d still argue that the formation of a segregationist entity like Celtic Football Club inflamed the situation most. An interesting post & one I would like to add to & comment on. I have also seen it argued that Socialism, the traditional enemy of RCC in continental Europe. was also an inspiration for Wilf. Liverpool's two big clubs were both formed by Orangemen - if memory serves me the same one - and therefore neither could be a rallying point for Irish RCs and adoption as the team of choice was based on criteria other than religion. I think Celtic FC has a lot to do with it but I believe that Scotland more closely mirrors NI than England does (Liverpool apart). Prior to the influx from Ireland, nearly everyone in Scotland was staunchly Presbyterian, while England had a variety of faiths and denominations. Although Everton is commonly thought of as the catholic club in Liverpool, and by extension the Anfield outfit the Protestant (it too was criticised for a supposed sectarian signing policy at one time), I think I’m right in saying that that perception tended to come later. Liverpool is also a city where the Orange Order was significant (as you say, one of LFCs founders was a member) and I believe Orange walks still take place today. So it would seem that in terms of culture - especially an influx of both catholic immigrants from the south of Ireland and Protestants from the north - it shared many similarities with late 19th century Glasgow, and while there was friction between the two communities, the absence of a social institution serving as a beacon for Irish Catholicism and in turn a shield against the Protestant establishment meant there was generally greater integration. It’s a (very) lengthy read, but this goes into it in significantly greater depth than I could ever possibly do it justice on here. Will keep this short and sweet - but we need to find out who was on this panel for The General Teaching Council. Today the judgement was published on their website. I would urge you all to read what Scotland 2018 has become. Why? Because this teacher is free to continue to teach. Despite his obvious breaches of the teaching guidelines, rules (and the law). When you think about it, he might be a good teacher - he might be very popular - he obviously received the backing of many - so must be a nice guy. But if you murder someone, do you walk free because you are a nice guy? No. Seriously, I don't want to see anyone get the sack, but this guy has not even been censured. ............ the Panel found that there was no current impairment of fitness to teach. That being so, the Panel was not required to consider any of the available disposals and the hearing was concluded.